Our client had noticed that many new build houses were created with a family space, and they wanted a piece of the action. This extension not only created another bedroom and gave more space to the kitchen, but it created a social hub that all the family could enjoy. 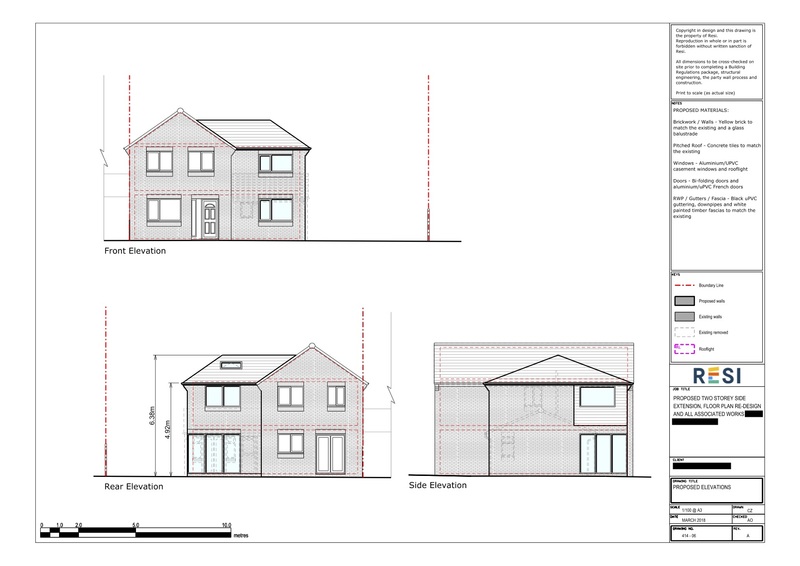 Our client was looking to create a side extension, which would result in an open kitchen, a study, family area, and a fourth bedroom on the first floor. They were looking to design a home that was up to date with the latest property trends, modern, and with lots of natural light. I started by removing the external walls and opening up the extension, in order to create a spacious family room. This came with bifold doors opening to the rear and side, which provided the space with ample natural light. A study, utility room, and WC was divided off at the front of the property, with a spacious kitchen towards the rear. 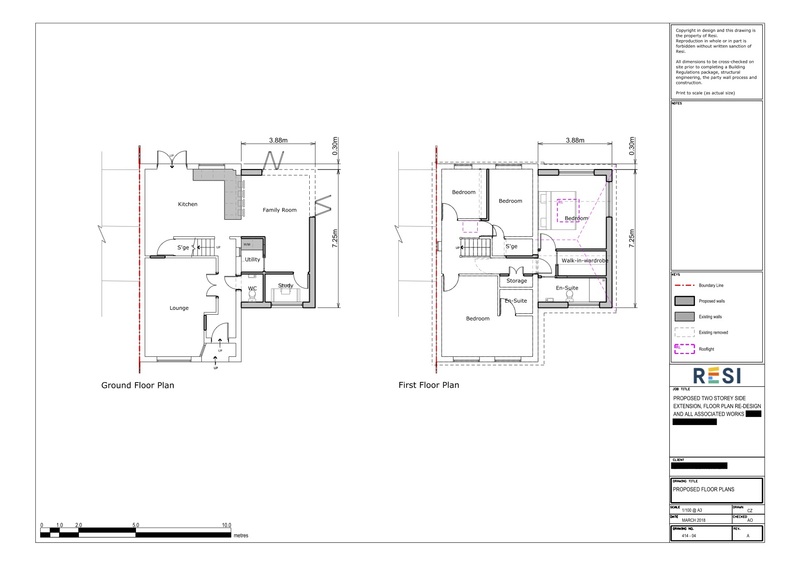 In the first floor extension, I designed a master suite (with an added skylight), a walk in wardrobe, and ensuite.